Votre présentation exceptionnelle m'a conquis par sa simplicité, sa rigueur et son universalité. Vous nous avez présenté le chainon manquant d'une approche holistique des thérapies relatives aux addictions tant physiques que psychologiques : faire le lien entre notre réalité terrestre et la spiritualité. Et par-dessus tout, l'universalité de votre approche réside dans sa pertinence pour tout être souffrant d’addictions, quelle que soit sa religion ou sa culture. Merci Rabbi Taub pour cet enseignement. I had the pleasure to listen to Rabbi Shais Taub during a wonderful evening that was organized by Rabbi Bitton and his wife Malky in their welcoming home. In a thought-provoking talk about life, challenges and interpersonal interaction, Rabbi Taub fascinated the audience with some interesting concepts about dealing with negative emotions and handling the hurdles that life throws at us, and even threw in a discussion about the importance of daily meditation. Rabbi Taub is a gifted speaker who can capably captivate his listeners with inspiring stories along with lessons from his own life experience, bringing together the logical and spiritual worlds while mixing in the right amount of interaction and humor. I will definitely be looking forward to attend more of his talks when he visits the rainy city again in the future. I think Rabbi Taub’s fresh approach to our age-old personal quandaries helped us understand so much about ourselves. His explanations made clear terms that have slipped into pop psychology and out of actual help in managing our contemporary lives. The examples he shared on the impact of love, respect and connection to our actions were also so clear that one could immediately use it on leaving the lecture room and returning to our lives. Over the next few days I shared what I learned with family and friends, via the phone in 3 cities. It opened up meaningful conversations. Imagine the reach of just this one lecture of that Shabbaton weekend! Also, I am very happy that I came to Shabbat services and Rabbi Taub’s Kiddush time lecture. Understanding the roots of today’s political and military turmoil from its roots in the Torah’s earliest events proved both interesting and calming. It illuminated the roles of Jews in the world. As a Jewish professional working in the addiction field in Vancouver, I was very intrigued to hear Rabbi Taub speak on the topic of addictions. I greatly enjoyed his use of humor, talmudic literature and stories to facilitate his lecture. He was thought provoking and candid, and left me with a new framework of understanding recovery. Recently I attended three lectures by addiction expert Rabbi Taub during his short visit. A common thread was to help addicts to develop a "Spiritual Sensitivity.” This method is beneficial both as a prevention for all types of addiction or for addicts at any stage of addiction or recovery. I would highly recommend this method. Professionals and family members, who are in positions to assist those struggling at any age, would benefit from researching this approach of Rabbi Taub and incorporating it as needed. I have attended many lectures on the topic of addictions, but none provided the insightful look into the spiritual nature of this issue as Rabbi Taub so adeptly does. Truly Enlightening! I am infinitely grateful for the Jewish Academy and the top-quality classes and lectures they provide. The calibre of speakers that have come to Vancouver since its launch is unparallel. For me in particular, having Rabbi Shais Taub at the Academy was an amazing experience. Throughout the three lectures I attended, I saw first hand how true the saying “words that come from the heart, touch the heart” really is. His ability to speak about any given subject and connect it to our Torah while giving us valuable tools to apply abstract concepts into our every day lives is remarkable. I can honestly say that the Academy’s slogan “Happiness is learned” is also true! I am a happier human being because of what I learned from Rabbi Sahis Taub and because of what I have learned since becoming a member of Chabad of Downtown. I hope that the Academy continues to bring light, wisdom and encouragement to Vancouver while promoting unity amongst the entire Jewish community just as they have done until now. Rabbi Taub’s discussion was thought provoking and challenging to some of our long held views on addiction. We can to take comfort from his reassurance that people with addictions can recover so long as they rely on a higher power, a power beyond themselves. As a Mental Health Worker with Jewish Family Service Agency, it is my role to leave my door open to people as they find their way to a healthy life. As a community, we must always allow the addicted person to lead the way in their recovery. Our community has been truly been inspired by Rabbi Taub’s, thoughtful, humorous and stimulating discussion and I thank him and his higher power for sharing this knowledge. The cut and thrust of modern living threatens to cloud the spiritual radar. Career, petty secular obligations, and a host of seemingly high-priority commitments combine to subtly — from behind-the-scenes — haul the Jew away from the warm hearth of Hashem's everlasting glow. The business world — any field, any country — remains treacherous territory in which the Jew must suitably arm himself with the mighty weapons custom-designed for him by Hashem to defend against the dangerous incursions of foreign ideas, customs, and concepts. Philosophies which are entirely foreign to the Jewish ethos. The Jewish Academy — as opposed to some parlor-era coffee klatch of high-flying intellectual society celebs in fin-de-siècle Paris — is the Vancouver Jew's spriritual/intellectual filling station, the Jew's WalMart one-stop-shop. Not something to admire from afar as a hallowed library of higher learning, but a living, breathing, necessary reality for the Vancoverite Jew. Make it a weekly stop in your monthly itinerary. Absorb its insights. For what better is religion than a vital pause in the action — an intermezzo — in the swirling chaos of Jewish Diaspora life. And what better way to hone that religious outlook than by educating yourself as capably as you can." I’ve been attending some of the lectures at Chabad of Downtown for the past recent months and it has been an excellent asset in developing a stronger connection to Jewish roots and spirituality. The environment is very warm and welcoming. Rabbi Bitton expresses his knowledge and interpretations with great presence, he breaks down all the insights in a playful and interactive manner making it easy to understand or relate. I would look forward to continue on dropping by. I have been attending classes at Chabad of Downtown for over two years now and have found them incredibly inspiring. Both Rabbi Bitton and Malky have given me great insights and tools for making every aspect of my life meaningful, no matter how small or mundane it may seem. They have also made me understand the amazing gift that being Jewish represents and the responsibilities that come with it. These classes have had a life changing impact on me and I believe that every Jew can reap great benefits from them. 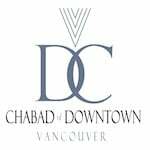 I am grateful for the last few years of study with Chabad of Downtown Vancouver. Rabbi Bitton has a gentle and remarkable way of making even the deepest parts of Torah and chassidut accessible. He is able to translate difficult Torah concepts in a simple way while at the same time still challenging me intellectually, spiritually and emotionally. His ability to truly listen to students and his patient manner continue to amaze me. Personally, I have grown immensely by learning from and with him. When life creeps up on you and gets confusing, all you need is one of Rabbi Bitton's Lunch and Learn sessions to put everything back in its rightful place. Rabbi Bitton is insightful, spiritual and wise. I can not think of a more enjoyable or informative way to spend my Friday lunch hours. I have attended many ongoing courses and lectures at Downtown Chabad including classes on Kabbalah, Jewish Ethics and Talmud. All of the classes that I have attended were stimulating and thought provoking and helped deepen my connection to Judaism. Rabbi Bitton is an insightful, warm and engaging teacher whose love of Torah and Judaism is apparent in every class that he teaches and every word that he speaks. Only wish I would have had the opportunity to attend these lectures years ago. It has helped me find out that everything we question in life is already answered in our beautiful religion. Rabbi Bitton explains the wisdom of Torah in warm, personable sessions that set a positive tone for the rest of the week. As suggested by my rabbi Binyomin Bitton, I registered with JNet.org, enrolled on a weekly study session, and the JNet staff provided me with an excellent study partner a knowledgeable rabbi to whom I can contact whenever I needed and even in my own native language. We have used every sort of means of communication, SMS, Skype, emails, phone calls, although he is in New York and we have never physically met we have developed a friendship that allows for confidence and trust, this help because when we study he knows how tackle the subject in the right way. The Adult Education Program provides a casual environment for adults to explore a variety of topics. Rabbi Bitton’s ability to weave stories together from many rabbinic and Talmudic sources and present them in an overlaid manner is a great way to be introduced to or to explore a subject. I went to my first class out of curiosity and have continued to attend as my schedule permits as the class is well worth my time. מזה שנתיים שאני מגיע להרצאות של הרב בנימין ביטון בחב"ד דאונטאון וונקובר. שמחתי מאוד לגלות שאפשר ללמוד עם בנימין בעברית שוטפת! האווירה בשיעורים של ימי שני בערב (ובכלל באירועים שלהם) היא מאוד חמה, נעימה ופתוחה. הנושאים של השיעורים היו מאוד רלוונטים לחיי היום יום ונתנו הרבה משמעות לחיים שלי בתור יהודי. אני ממליץ מאוד להגיע. אפילו אם אתם רק מבקרים בעיר ויכולים להגיע לשיעור אחד יש הרבה מה ללמוד מהרב ביטון! I wanted to let you know how much Marianna and myself are enjoying the Monday lectures. The way you presented the ideas was amazing. Even someone with Hebrew as a first language, is able to follow and enjoy the class. Even learn some new English words! The insightful courses at Chabad of Downtown Vancouver help provide that extra level of inspiration in life that can be easily missed when working to build a career in a demanding profession. Taking place in an environment where questions and the sharing of life experience and learning are welcome, the courses also provide an excellent way for those new to Vancouver and for long-time residents to build a sense of Jewish connectedness. I have been participating in the Adult Education courses at Downtown Chabad for about two years. I have found the different courses to be interesting, relevant and fun. Participation is encouraged and no question or comment is ever made to be thought of as irrelevant. Rabbi Binyomin presents the material in a manner that leaves me wanting to learn more - I am so glad the courses are ongoing and look forward to the next sessions. Miriam Sklar, Sales Professional Tiffany & Co. I attended several lectures provided by Downtown Chabad and found Rabbi Bitton warm and engaging, offering insights into the human condition and providing an inviting spiritual presence among the often chaotic and/or mundane experiences of professional life in downtown Vancouver. I look forward to a continuing friendship with Rabbi Bitton and Downtown Chabad. Chabad Downtown offers such a variety of topics on Jewish education that allow me to choose not only the ones that are of my interest but even subjects that I haven't explored, opening a door that can also be complemented with all the tools that www.jewishacademy.ca provides. Rabbi Bitton takes profound and powerful concepts from Jewish observance and mysticism and applies them with clarity, insight and his characteristic warmth to our everyday lives. His classes are welcoming and open to all. There are also cookies. The courses and lectures I attended at Chabad of Downtown shed a traditional, reliable light on some of my contemporary questions. I particularly enjoyed the series on Business Ethics and sessions on the deeper meaning of language, Torah interpretations on ritual, values and individual and collective responsibility in community life. At each time and topic, Rabbi Bitton shared a depth of knowledge with characteristic sincerity and energy. Anyone attending regularly or dropping in would benefit. It makes you feel part of something much larger and adds a timeless quality to the everyday experience of life.